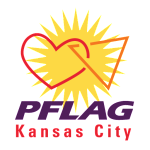 The confidential PFLAG Kansas City Helpline is available for persons who need information and support. Call (816) 765-9818* and leave your name, phone number, and the best times to call; a PFLAG Kansas City support volunteer will call you back. The volunteer will not reveal the purpose of the call to anyone else who answers the phone. at (888) 843-4564 or the GLBT National Youth Talkline at (800)-246-7743.